Without a doubt! Although gas is generally a clean burning fuel, the chimney can become non-functional from bird nests or other debris blocking the flue. Modern furnaces can also cause many problems with the average flues intended to vent the older generation of furnaces. My fireplace smokes. What can I do? There are a multitude of reasons for smokey fireplaces . We have included an entire section on smoking fireplaces in the fireplace area and we suggest you go there for a better discussion of this problem. What should I know about Creosote? A dirty chimney with only a quarter inch of soot contains the highly flammable substance called creosote. A hot fire around 1000 degrees F. could easily ignite this substance into a roaring chimney fire. At the height of a chimney fire, the creosote can burn at temperatures exceeding 2000 degrees F. Flames and flying embers can easily land on the roof and ignite the wood framing of your home. The intense heat can cause the flue to crack or collapse thus causing the interior walls of your house to burst into flames. Creosote in chimneys comes in several stages. In its flaky, soot form, it is easily brushed away leaving safe and clean flue walls. When it appears as hard, brittle deposits, the chimney sweep's extra efforts in brushing will remove most of the build-up. But the nasty glazed variety is truly the most dangerous form, and the most difficult to remove in many instances. Glazed Creosote in your chimney is recognizable by its dense, shiny tar-like appea rance. This unpleasant substance is basically wood tar which has become baked onto the walls of the chimney or flue lining. Once it gets burning in your chimney, it is extremely difficult to extinguish. What causes glazed creosote to accumulate? 250 degrees and 500 degrees F. if creosote accumulations are to be reduced in amounts of thickness. (Be sure to ask your chimney sweep about proven methods to assure correct burning.) If your chimney sweep has already diagnosed glazed creosote as a problem in your chimney take his or her advice seriously. DO NOT continue to use your affected fireplace or wood stove. 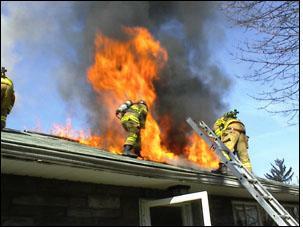 The simple fact is that a hot fire could easily ignite the glazed creosote and result in a dangerous chimney fire. And a low burning fire under such hazardous conditions will only worsen the glazed creosote problem. Can my chimney be treated? Yes! There is now a product available to professional sweeps for removing glazed creosote. It's called TSR, or Third Stage Remover. Simply stated, this strong effective formula of fine cleaners dissoves baked-on resins from masonry, metal and stainless steel surfaces by reducing the hard glazed substance to loose, brushable soot. The TSR application will involve hard work by your chimney sweep, but the results will be worth the extra effort. After the product is applied, a drying time of 24 hours or more is required. As is often the case, several days may be necessary for complete drying to occur before brushing can begin. Sometimes, the glazed creosote build-up is extremely think and difficult to completely remove in just one application. Therefore, the more severe instances of glazing can require two or three application of TSR for 90% to 100% removal. It is important to keep in mind that your professional sweep is able to suggest valid and honest correc tive measures in making your home safe from chimney fires. 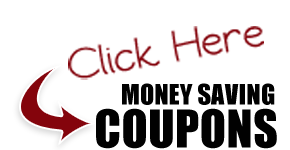 Your family's safety and protection of your personal property are the professional sweep's primary concerns. To effectively remove hazardous glazed creosote from your home, take the time to discuss TSR with your sweep. Should you desire more information on glazed creosote and other possible fire hazards in your home contact your local fire chief or marshal. Why does my chimney need a cap? A chimney cap keeps out the rain. Rain can set off a bad smell in the chimney. This will happen in warm weather, especially if the chimney is dirty or has animal droppings on the smoke shelf. Rain speeds the rusting of metal parts of your fireplace. Damper hard to move or frozen? A cap keeps out birds, squirrels and other "unwanted guests"
Birds are fun to look at but they do have a few bad qualities when perched on your chimney. They chirp and flutter constantly, driving sane folks nuts and crazy folks bananas. Their droppings accumulate in a huge vulgar mass on the smoke shelf causing a bad smell, is a breeding ground for mites and bacteria. A squirrel can wreck a house faster than a dozen two-year-olds. Once they get inside the chimney the only way out for them is through the damper. Raccoons love to raise their young in the nice dark and warm smoke shelf, just a couple of feet from your living room. Backpuffing (fireplace smoke coming back into the house) can result from several factors. One of them is downdrafts. Leaves can choke a flue and set off a chimney fire in a dirty flue. As you can see, there is probably no single investment that you can make for your chimney that will return so much to you. 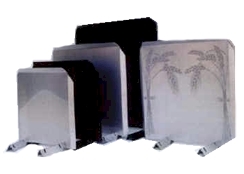 You have invested $5,000.00 - $10,000 in your fireplace, why not protect that investment. Which of these chimney caps is best for your chimney? Ask the professional who handed you this brochure. They have the experience in your local area to help you make an informed decision. The two main reasons for the breakdown of fireplaces and chimneys are heat and water. 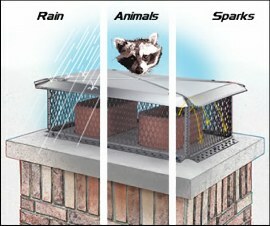 A chimney cap takes care of the water damage, the "heat reflector/heat shield" takes care of the heat! In and unprotected fireplace, heat is absorbed into the back wall of the fireplace which causes the bricks to crack and the mortar that holds the chimney together to break down, leading to expensive repairs. A fireplace with a "HEAT REFLECTOR/SHIELD" protecting it. The back wall of the fireplace is now exposed to 1/3 less heat. The heat is radiated into the room where it should be and damage to the fireplace is significantly reduced or stopped! How much additional heat? 20% to 40% increases are being reported depending on the fireplace. Whatever the increase, it's always noticeable. You'll feel the difference. Kindling: Large twigs, small branches, and small splits of wood anywhere from 1/4" to 1" in thickness will do. This is the most important ingredient for building a good fire and usually the most over looked. Start the Fire: Arrange two small to medium sized pieces of firewood on the grate, and place some crumpled up newspaper for tinder between logs. Now cover the tinder with several pieces of kindling. Be generous with the kindling - it's the most important element in starting your fire. Now, place two more pieces of firewood on top of the kindling and two more at right angles to these two. Leave some space between the logs for air circulation. DO check the manufacturer's guidelines for your wood stove or insert. DON'T use coal in a wood stove or fireplace unless there are specific written instructions - it will burn, not safely. Smoke problems: Is your damper open? If it is and the smoking continues, open a nearby window a crack for a minute or two until the fire is going well - then you can close it again. If it just smokes when you light the fire, it may be because the flue is cold. Did you warm the flue with a burning rolled-up newspaper held in the damper region? (If not, that usually works.) 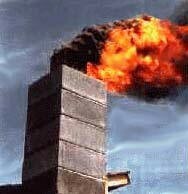 If the chimney continues to smoke, call a chimney professional. Your chimney may be clogged by animal nests or an accumulation of soot and creosote, or it may have additional problems. Chimney odors The sour, sickly odor is the smell of creosote. The solution is to call a chimney professional to clean your chimney and install a chimney cap to prevent water from entering and reacting with the creosote. Your chimney professional can also recommend a good chimney deodorant to handle any remaining odor which has been absorbed into the masonry. 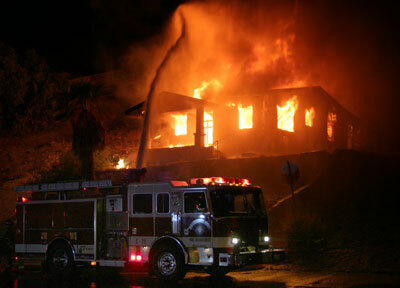 Creosote buildup Slow smoldering fires and/or the use of unseasoned wood can create "cool" smoke and weak draft. Under these conditions the smoke condenses and sticks to the chimney's interior. Forming highly flammable creosote. Read our section on "Efficient Burning Techniques" for the solution of this problem. It's better to add smaller loads more often than to cram in a lot of wood trying to get an all-day burn. When you're ready to put out a fire, separate the logs by moving them to the side of the fireplace or stand them on end in the back of the fireplace. Close the screen or glass doors tightly, but don't close the damper until you're sure the fire and coals are completely out. Don't close the damper. If you have a fireplace with glass doors, close the doors and the vents. If you have a wood stove, close the doors and the air inlets.